Louie Anderson, Darian Bertrand, Paul X. Campanella et al. When twelve-year-old Austin s family moves to a new town, he struggles fitting in and making new friends. To help cheer Austin up, his father buys him a dog named Dino and the pair quickly become inseparable. Suddenly, their lives are turned upside down when Austin discovers that Dino can SING! When a popular talent search television show arrives in town to audition contestants, Austin quickly enters Dino. 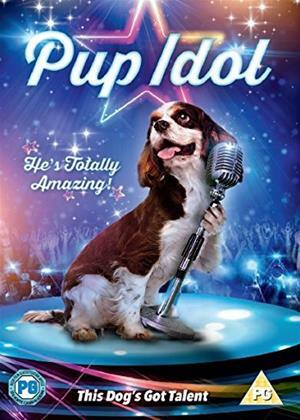 There is no way a singing dog can lose on America's Next Pop Icon... As the pooch's talent reaches the airwaves, Austin's popularity soars. His desire to finally fit in is within his grasp! However, when the local dog catchers spot Dino, they plan to snare the pooch for ransom. With the media storm brewing and blinded by his growing popularity, Austin must learn the true value of family, friendship and loyalty before it is too late.